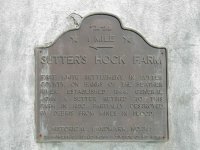 Hock Farm was founded by John Sutter. 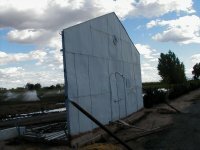 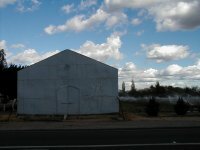 The fort and farm buildings were located on the nearby bank of the Feather River. 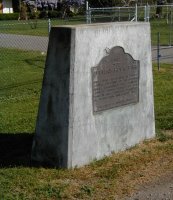 The memorial was built with iron from the original fort. 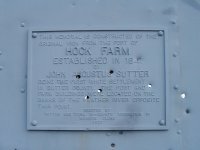 Marker Plaque (with bullet holes) on the Memorial.